Safety is UpShot Omaha's number one priority. Performance of preflight safety checks, flight path observation, line of sight requirements, and communication are all part of our safety policy. UpShot Omaha's pilots are all FAA Part 107 certified. What does that mean for you? Any drone operator who is performing commercial work is required by the FAA to be Part 107 certified. 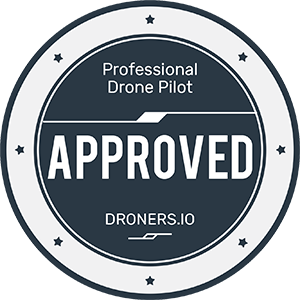 Whether you decide to work with UpShot or you chose to work with another drone service company, you should always ask to see their license. It means you can have peace of mind that the pilot working with you has proven to the FAA through an exam that they are competent pilots who understand all applicable laws and regulations pertaining to drone flight. Just ask, and our pilot will show you his or her FAA UAS license.